Make sure you use this power only for good, okay? In its latest Windows 10 Insider Preview Build, Microsoft has given you the power to shut down or restart your PC by your voice alone—a convenience that also may allow pranksters of all stripes to wreak havoc. Microsoft rolled out Preview Build 14986 of Windows 10 to insiders in the Fast ring on Wednesday, on the first day of its Windows Hardware Engineering conference (WinHEC) in Shenzhen, China. It’s a rather substantial build, offering the ability to restart, lock, or shut down your PC via Cortana. It allows you more freedom to control your music via Cortana, provides better PC game support via the Windows Game Bar, includes a Windows Defender dashboard, features improved Windows Ink capabilities, and much more. The new build also ships with specific improvements for customers in Asia, including a better typing experience for Chinese keyboards. And, even better, Microsoft has given you more control over when this new update is installed. If Windows Update can’t find a good time to restart your machine, you’ll be asked to schedule an update or even just remind you later, which will hold off on applying the update altogether until it’s a good time for you. These updates are all part of Microsoft’s ongoing progress toward the next major Windows 10 release—known as “Redstone 2” or the Creators Update—sometime in spring 2017. Why this matters: While any new Insider Build can introduce a laundry list of changes and improvements—as this does—Microsoft has been busy adding improvements to Cortana in an attempt to help keep up with Google Assistant and Apple’s Siri. In May, for example, Microsoft added the ability to order Cortana to play songs from your local folders or Groove Music as part of Build 14352. You can now order up music by app, even with the screen locked. With the just-launched Build 14986, Cortana can go one step further, allowing you to ask to play an artist, track, title, or genre in other apps besides Groove. 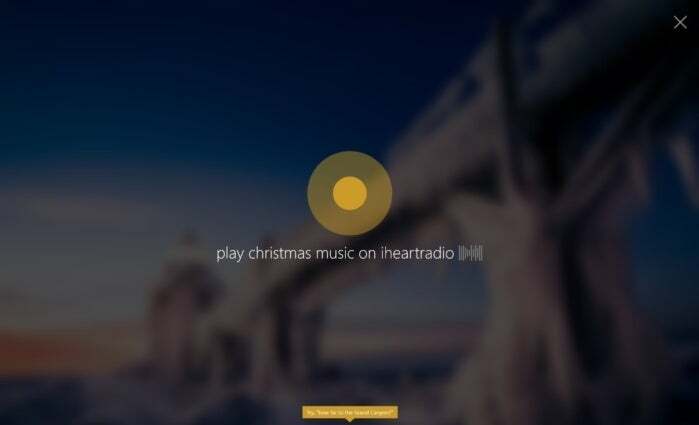 You can also ask Cortana to identify a song you don’t know if it’s playing on one of your radio apps, like the mobile app Shazam. 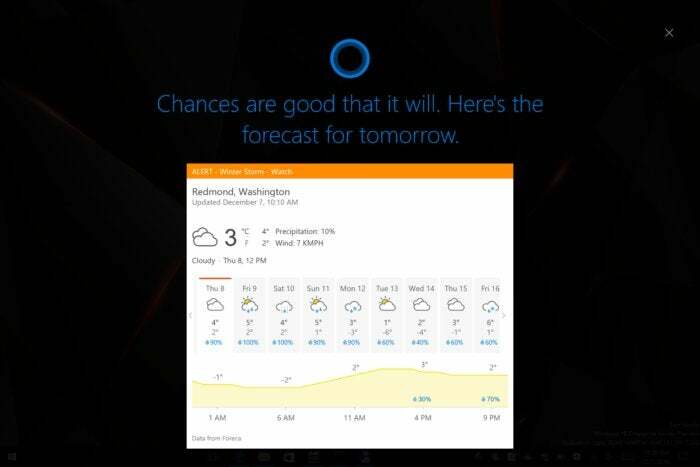 Microsoft has made Cortana a little smarter, as she now “understands” what app you’re talking about, automatically referring back to the last one you mentioned. You can tell Cortana to adjust the volume levels, or start and pause playback. 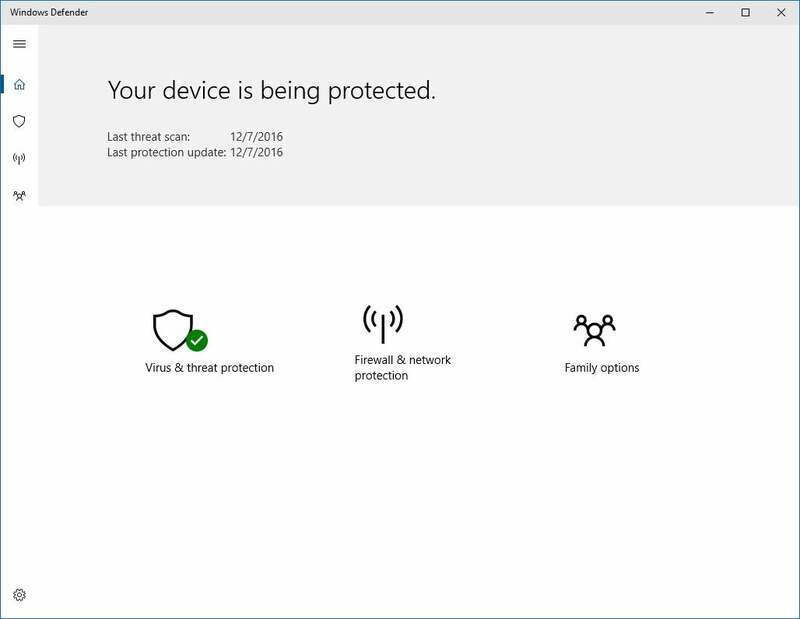 Even better, these capabilities have been added “above” the lock screen, when your computer is locked, as well as when you’re actively using it. Here’s what the new “full screen” experience looks like when the screen is locked. That lock screen will look a bit different, too. When your PC is locked, Cortana will stay active, though with prior builds she couldn’t do too much. Now, she’s much more visual—ask her the weather and she’ll show you the forecast, optimized to be seen while across the room. It’s the PC shutdown and restart commands that may be a little worrying for some, though. You used to be able to order Microsoft’s Xbox to turn off via your voice alone—and some people discovered that you could simply say “Xbox off” in a YouTube video or stream with disastrous consequences. It’s not quite clear what the command is to restart your PC (“Cortana, restart my PC” is probably it) or whether there’s an option to toggle that capability on and off. For now, if you’re running this build, be a little wary. Microsoft’s inking tools, known as Windows Ink, remain a work in progress—in our review of the Windows 10 Anniversary Update, we noted that inking felt unfinished. Fortunately, a few features in Build 14986 help give it a bit more polish. You can resume an old Screen Sketch if you wish. Probably the most important updates are general tweaks to its interface, including finer-grained control over how the ruler rotates, as well as doing away with the cursor while inking to suggest a more pen-like experience. And if you do tweak a setting—say, if you widen your pen’s ink or change the color—a fly-out will allow you to preview before you touch the stylus to the screen. Windows Ink also gained a bit of permanence. Now, you can resume an earlier Screen Sketch (although it will generate a new sketch by default—you’ll have to tweak this in its settings). In the Registry, Microsoft now allows you to add the familiar File Explorer keyboard navigation shortcuts to Registry Editor, so you can easily go up (Alt+ Up arrow), backwards (Alt + Left arrow), or forwards (Alt + Right arrow) in the Registry. Tapping Win+G invokes the Game Bar, so you can easily take a screenshot or record a video in your PC games. Microsoft added 19 more popular PC games—from Civilization V, Fallout 4, Dark Souls III, Overwatch, to The Witcher 3: Wild Hunt and more—to Game Bar support. Microsoft’s Narrator assistant can now describe fonts, screen spacing, and more by tapping CAPS + F. But Microsoft changed the key to get advanced information about an item in focus from CAPS + 0 to CAPS + F.
Microsoft has added a new dashboard for Windows Defender. 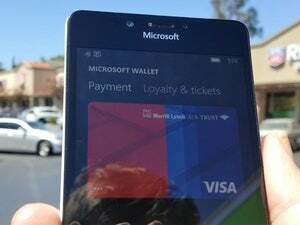 Though the functionality appears to be the same, the look and feel have been simplified. The new Windows Defender interface is, in a word, simple. There’s one minor bug that may affect the majority of users: Windows Hello is being improved, so if you use face logins, you may need to let Windows “learn” your face again by rescanning it. Brightness controls may not work on your keyboard, either. We’re not going to go into the updates for the Asian market; if you live there, consult this blog post for more. Otherwise, Microsoft has fixed a ton of bugs as the company winds down for the holidays, but it’s still early enough that we may see one more build before the winter holiday break. If there isn’t, though, look for things to pick up early in 2017.